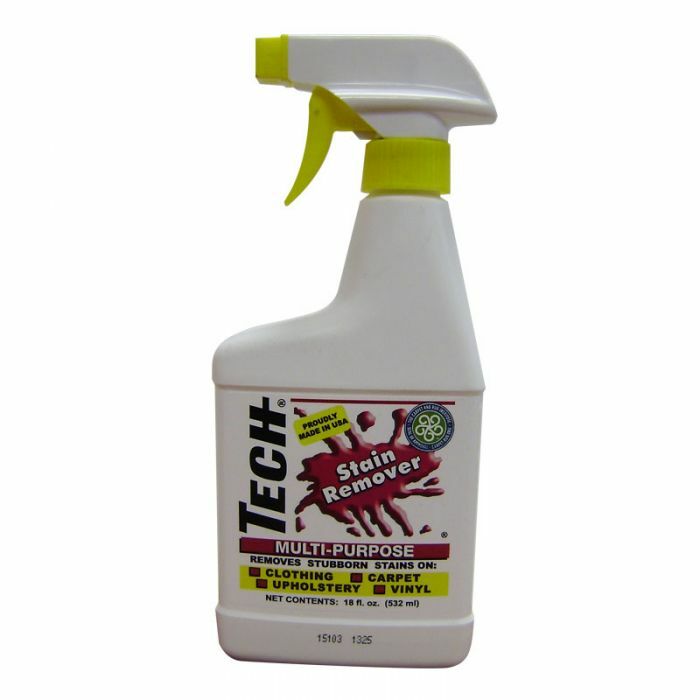 TECH Stain Remover is not just for spots and spills on carpet; it can be used on any washable fabric, including carpet, clothing, laundry pre-wash, upholstery, and vinyl. TECH Stain Remover has earned the Seal Of Approval from the Carpet And Rug Institute, meaning that the product is recognized by the carpet manufacturers as a superior product and will not void your carpet manufacturers warranty!! TECH Stain Remover is not just for spots and spills on carpet; it can be used on any washable fabric, including carpet, clothing, laundry pre-wash, upholstery, and vinyl. The product works great to remove stains before you wash, or put 1-2 oz. in a white load with your regular detergent and you don't need to use bleach. Contains no harsh chemicals, bleach, or anything that will dull the colors on fabrics.